Lately, the most regular date tradition that we've tried to implement is Friday morning breakfast at a local restaurant. It's practically perfect: neither of us work on Friday mornings, breakfast for two is about 15 RM (about $4 US) so it's an affordable date option, and very tasty. We look forward to these mornings. Of course, "traditions" are always taken rather loosely in my world, and there's plenty of Fridays that we don't manage to squeeze a date in. I don't think we went at all the entire first trimester because the prospect of eating curry was way too much for me to contemplate. But we look forward to going out for our breakfast together. "How are you doing: physically, mentally, emotionally, and spiritually?" And he always takes the time to answer thoughtfully in each of the four categories. Physically - How he's slept recently or if he thinks he's in good enough shape for his next race, or if he's planning to play basketball on the weekend. Mentally - What's going on with work, or if he's been contemplating a book he read recently, or if he has an idea for one of our ongoing projects. Emotionally - What he's most excited about and looking forward to, or what he misses from home, or what's been disappointing lately. Spiritually - What he's heard from God or what he's been learning lately in this area of life. It should be noted that Angel never asks me back the same question. That's because...I naturally answer all of these questions in the course of normal conversation. Communication of what's inside my head and heart comes naturally to me (possibly why I ended up a writer), so there's less need for him to ask for this information when it comes naturally to me to divulge the information to him before he finds a need to ask. Angel isn't quite as naturally communicative, which makes this question more valuable when asked in his direction. We've really learned to look forward to these conversations, these check-ins in the middle of a full life. I would say that the dates I remember most are the more exciting, adrenaline-filled, adventurous sorts of dates--more lively outings that don't involve sitting in a chair and eating food. But there's certainly a place for sitting down to curry and bread for breakfast and chatting about how life is going in these 4 crucial areas. What are your favorite date traditions? Since my husband currently lives on the other side of the world our "dates" are mostly via FaceTime. We still connect like we would if he were here though, asking about each other's day etc. The part that is missed of course is the physical closeness. They haven't figured out how to make that transporter work yet. Beam me up Scotty! wow what a great question to ask! dates are so important but also connecting still and i love asking something like that to make sure everyone is feeling on the same page. Wow, truly a great question. It really opens the doors to anything, and it's great to make sure you are connecting on that level. I love the spiritual part as well!!! I think I will try asking my husband this!!! My boyfriend and I always ask each other how we're doing on a deeper level, which I love. We both genuinely care about the mental and emotional health of the other. I love how you and your partner break the question down into categories! I love that question, that's a really great way to check in with each other! We have a standing Monday night date with each other, we make a special dinner after the kiddo goes to bed and we talk and connect. I love it. I love this so much. 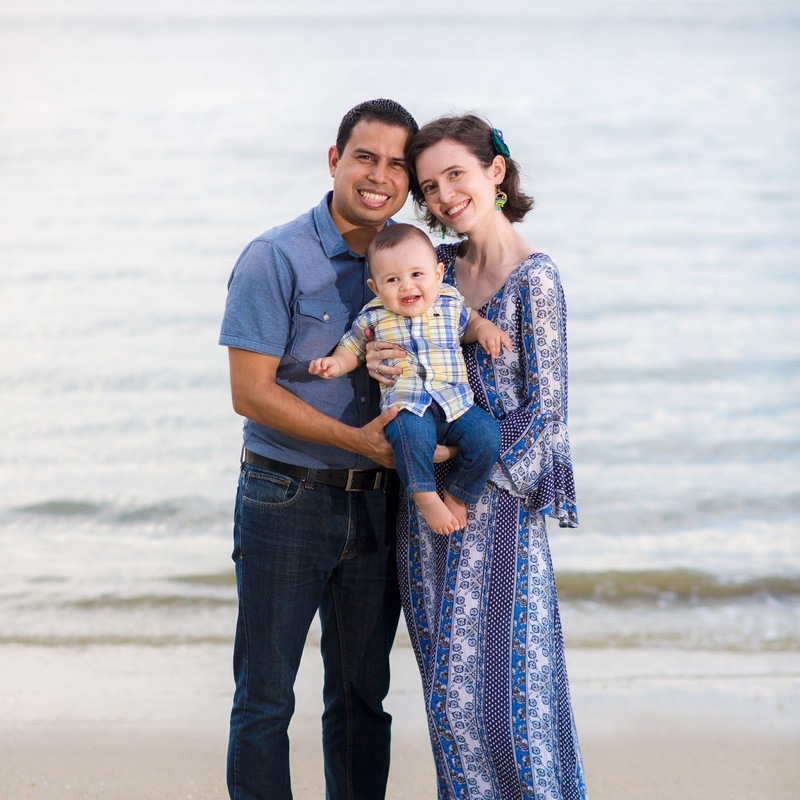 Date night has (sadly) taken a back seat for us, but reading this makes me really want to pick it back up again. It’s inportant to connect on this deeper level and to find excitement in the everyday life conversations and tasks. Bryan is the same way—it takes a bit more nudging to get him to open up but I love when he does. Thanks for sharing and hope all is going well with your pregnancy!! I love this! My husband and I have date night every week on Tuesday, unless he has a game then we reschedule. We have made it a priority to spend intentional time together. But even in the midst of spending quality time we can neglect really asking those questions of how are you doing and actually wanting to hear the answer. I'm going to start asking this more and allowing him to answer honestly. This is such an important question. I definitely want to implement it into my husband and I’s lives! That question is wonderful!!! I will have to remember it!! That's a good question and I'm glad that it is one he can answer it thoughtfully. A lot of people have trouble sharing their thoughts and feelings, especially if they aren't typically very expressive. Aw, I love this! It sounds like a great way to check in with your partner, especially someone who doesn't necessarily share these things without prompting! My husband and I are generally off on Saturday mornings. We try to go see a movie. 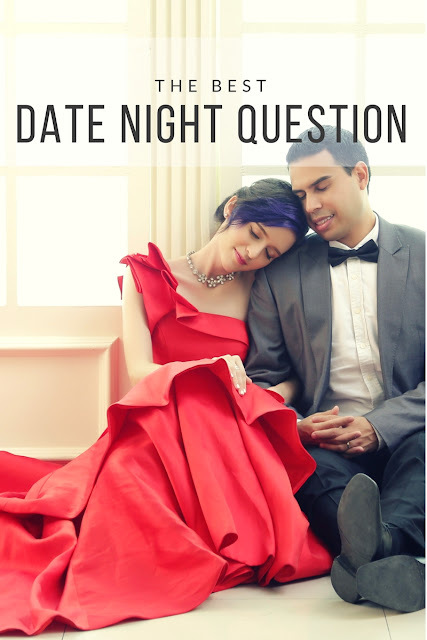 Love your date night question! That really covers a lot of ground. We've got date night tonight, so this is SO timely + good!! I love that he never asks you because he never needs to - that's pretty much like mine and Phillip's marriage too! That is a neat question! I might try it sometime! I love this question for a date night! What a great way to check in and make sure both of you are doing okay and what's happening in your lives.